Being good with numbers is just one part of having a job within the Finance & Banking sector. You must also be able to handle long working hours, and a stress-filled environment. However, if this sounds like something you could handle, you could stand to make a lot of money! Finance & Banking is a very lucrative business, and there are plenty of different jobs to choose from, and a lot of chances to move up. Read some of the descriptions below to see if any of these might fit what you are looking for! In the meantime, click here to search and apply for jobs in the Finance & Banking sector across London! 1. Finance Systems Manager – Duties include performing strategic analysis to create business plans, researching budgets and accounts to draft up reports – all to aid business planning and decision making for different companies. Will also calculate risk assessments, liaise with managers to produce monthly reports, and overseeing the staff to make sure that everything is running smoothly. 2. Financial Accountant – Duties include ensuring financial integrity of client’s company by preparing accounts, subsidiaries and monthly reports on profit loss as well as financial problem solving to analyze company’s overall financial performance. They will also advise upper management which direction to lead their business and how best to allocate the budget. 3. Financial Analyst – Duties include closely monitoring business performance to help clients make business decisions to plan for future long-term goals by forecasting trends in the economy. Must research and analyze balance sheets, accounting data, investments, and stocks, to put together in reports to be explained to their clients. 4. Financial Controller – Duties include monitoring cash flow, other cash monitoring and treasury duties, managing accounts and tax returns, and doing audits, as well as providing financial forecasts. This is all to make sure that their client’s company is financially functional. They also oversee the accounting department to make sure that everything is running smoothly. 5. Account Executive – Duties include overseeing all expenses, investments, and all other monetary transactions to ensure that their clients are profiting. Will also be asked to look at economic trends and research competitors to create financial projections for their clients and help them increase profits with cutting costs. 6. Financial Adviser – Duties include closely watching over client’s investments and advising them in accordance to current tax and insurance laws to how best to optimize their money and meet their financial long term or short term goals. 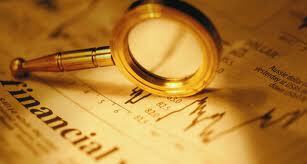 Will need to be able to explain their financial reports in detail so that their clients can make informed decisions. 7. Stock Broker -Duties include managing client’s investments and overall financial portfolio and tell them which stocks and shares are best to either buy or sell – all with the goal of making them the most return with their money. They must perform heavy research and monitor local and foreign stock market performances and consult with analysts to provide their clients with their well-informed decisions. 9. Investment Banker – Investment Bankers work for for huge global banks, selling stock and seeking out venture capital (lending money to people/businesses and gaining part ownership in the process). They advise when to sell a bank’s stakes, whether or not to accept certain merger and acquisition deals, preparing the legal documents of such transactions, and assess and predict the financial risks and returns. 10. Collector – Duties include keeping a close tab on all their clients’ accounts to help make sure that accurate records are maintained. They must coordinate customer’s credit charges with the credit department, and most importantly, they seek out businesses that haven’t paid money to collect from them. Will need to process small claims court complaints and negotiate the return of said unpaid merchandise. This entry was posted in Top 10 Jobs and tagged account executive, accountant, analyst, Auditor, banker, BANKING, careers in banking, careers in finance, collector, controller, economic forecasting, economic trends, finance, finance manager, financial accountant, financial advisor, financial analyst, financial controller, investment banker, Stock Broker, Stockbroker, Tax Auditor, top ten. Bookmark the permalink.